Dr Salvado Graduated with a Master in Electrical Engineering from ESIEE Paris and University Paris XII, where he studied signal processing, control system, and artificial intelligence. He worked for several years designing industrial control systems applying advanced techniques to improve automated machine performance. Attracted by medical challenges, he then graduated in 2006 with a PhD in Biomedical Engineering, specialty Medical Imaging, from Case Western Reserve University, Cleveland, OH, USA. His research was on developing machine learning technologies to analyses MRI data. He joined the radiology department of the Cleveland University Hospitals, working on catheter based MRI imaging, before moving to Australia as a research scientist for the CSIRO, focussing on image analysis. He is now the Head of Imaging and Computer Vision at CSIRO Data61. 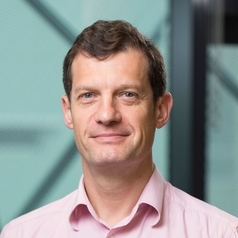 Prior to that role is was leading the CSIRO Biomedical Informatics Group, based at the Australian eHealth Research Centre on the Royal Brisbane and Women’s Hospital campus in Brisbane. Dr Salvado Research Interest includes innovative technologies to analyse medical data, including MRI, PET, biomarkers, and genetics, as well as new machine learning methods that allow decision traceability and unsupervised learning. Dr Salvado has several adjunct positions with Australian universities, he is a regular assessors of scientific grants, a reviewers of international journal, and he is regularly involved in reviewing and organising international conferences. He graduated with an executive MBA from the Australian Graduate School of Management in 2014, and is Honorary Professor at the University of Queensland and Honorary Senior Research Fellow at the Florey Institute of Neuroscience.